DC Universe was on full display at New York Comic Con this past weekend. DC and WB were doing all they could to market their new streaming platform, including debuting the first episode of Titans and dropping the trailer to Harley Quinn. Beyond those debuts, DC announced the full 2019 series slate, and to be honest, it looks like a very slow start. We already knew Titans was the first series debuting this fall. And our skepticism regarding the new series has been confirmed by the many negative reviews the pilot has now received. After that, instead of producing plenty of new content out the gate, it will make its original animated movies, classic animated series, and even digital comics available while debuting one new series at a time, including the newest seasons to Young Justice. 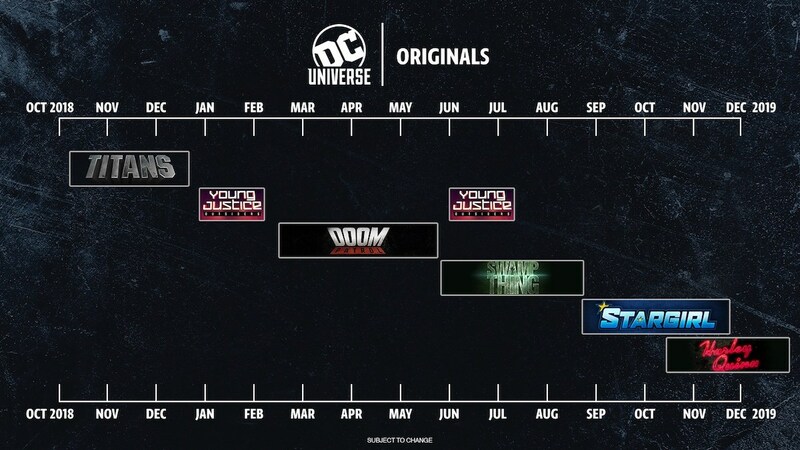 Check out the 2019 schedule that includes Doom Patrol, Swamp Thing, and Stargirl along with the aforementioned series and let us know which series debut you are looking forward to the most.